We arrived in Füssen for our Neuschwanstein Castle Visit on a series of small trains via Zürich, Buchloe and Marktoberdorf. The landscape was lovely pastoral views. 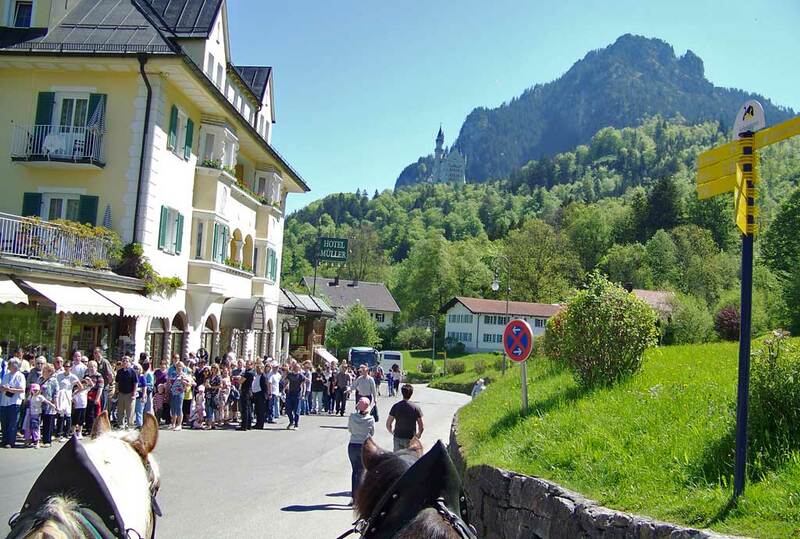 We then took a short cab to the Pension Waldmann. 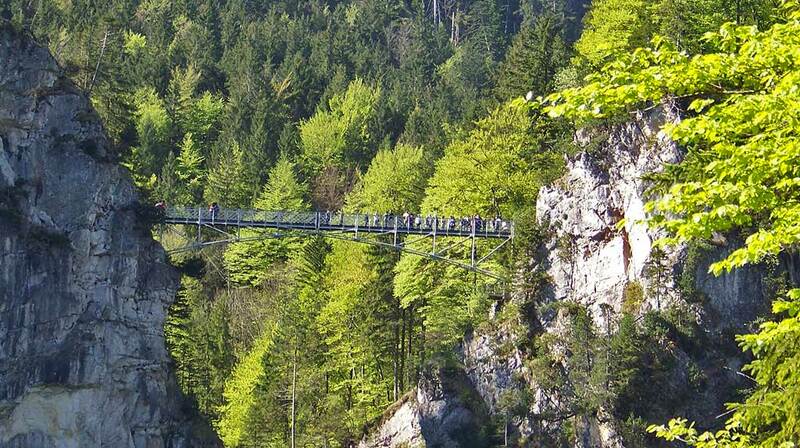 Pension Waldmann spot was great. We enjoyed the family operated friendly German service and a spacious room. The restaurant smelled wonderful, so we headed straight for late lunch. The pork dumplings (schweinebraten) were very good, but the meatloaf, spaetzle (egg noodles) and mushroom sauce was the winning dish. 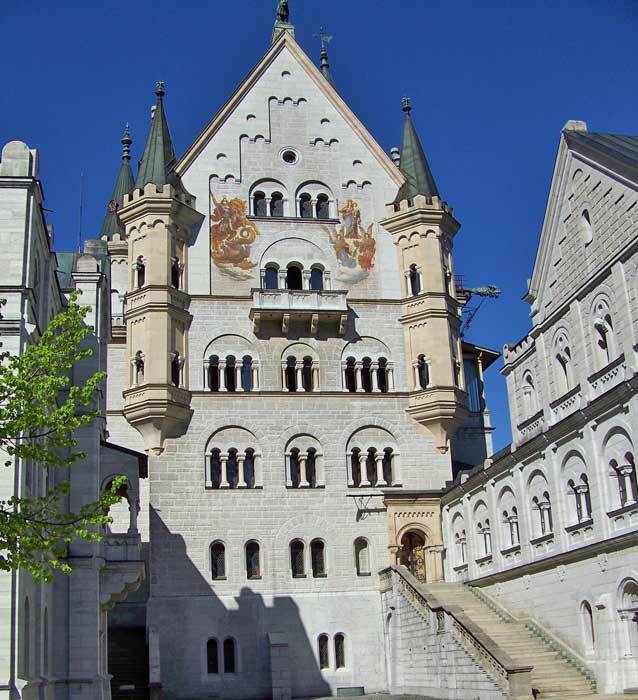 We then walked to the ticket center for our Neuschwanstein Castle visit, but found that they wouldn’t sell us tickets in advance for the next day. 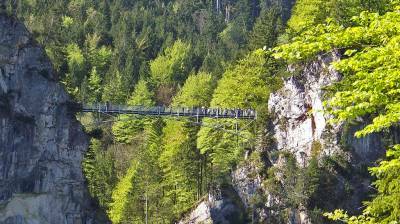 The place was swamped with tourists, so we anticipated a challenging day the next morning. 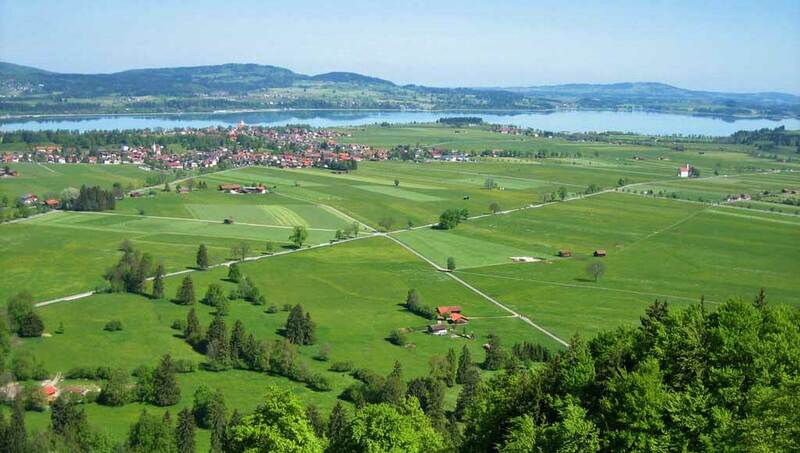 On the way back to Pension Waldmann, we enjoyed walking through the fields at the base of the mountains that mark the border between Germany and Austria. The line ups for a Neuschwanstein Castle Visit can be crazy, but May was a good time of year. Staying nearby at Pension Waldmann was also a benefit. Many tours come from Münich and return the same day, which means many bus loads of tourists arrive just before noon. Tickets couldn’t be purchased in advance. 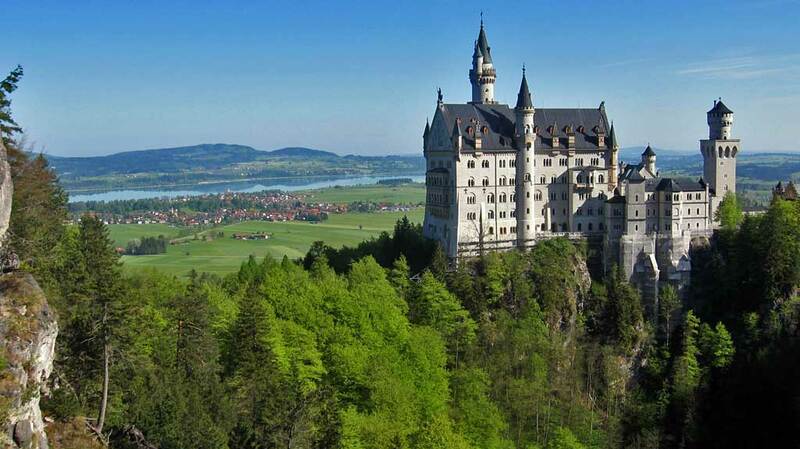 Once you buy tickets, you also need to decide how you will be getting up the hillside for your Neuschwanstein Castle visit. 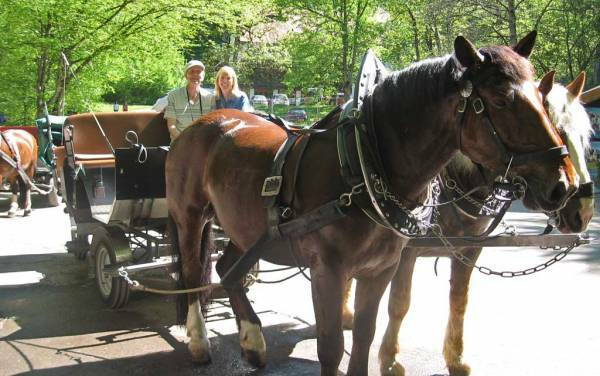 You can make a fairly strenuous hike, take an inexpensive bus ride or try a reasonably priced horse-drawn wagon ride. The bus drops you close to the Queen Mary’s Bridge with an excellent view of the castle and the valley below. 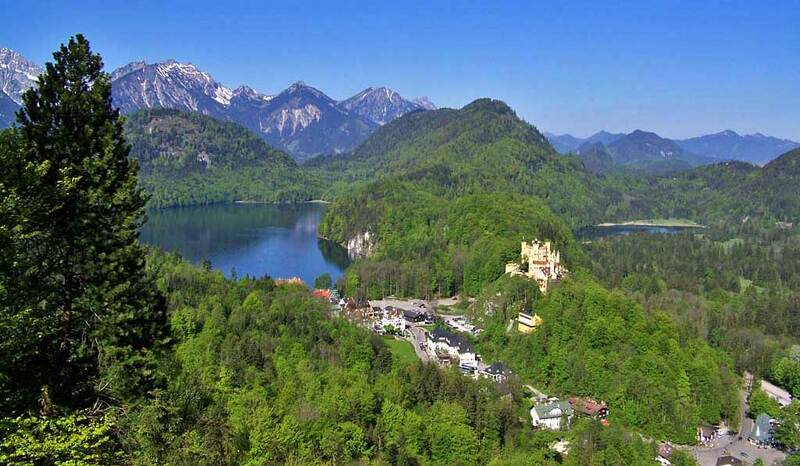 The castle of Neuschwanstein (“new swan stone”) was interesting, but King Ludwig II was definitely crazy. His bedroom had wood carvings everywhere. Fourteen wood carvers took 4 years just to complete his bedroom. Hundreds of crests are carved on the canopy above the bed. The room was dark, with stained glass windows and no views. 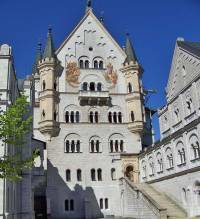 The grotto cave was designed by Ludwig II as a tribute to Richard Wagner and his operatic works. Only 6 of the other 120 bedrooms were completed before King Ludwig’s mysterious death by drowning in the nearby lake. Upon his death, construction stopped and the site opened to the public. 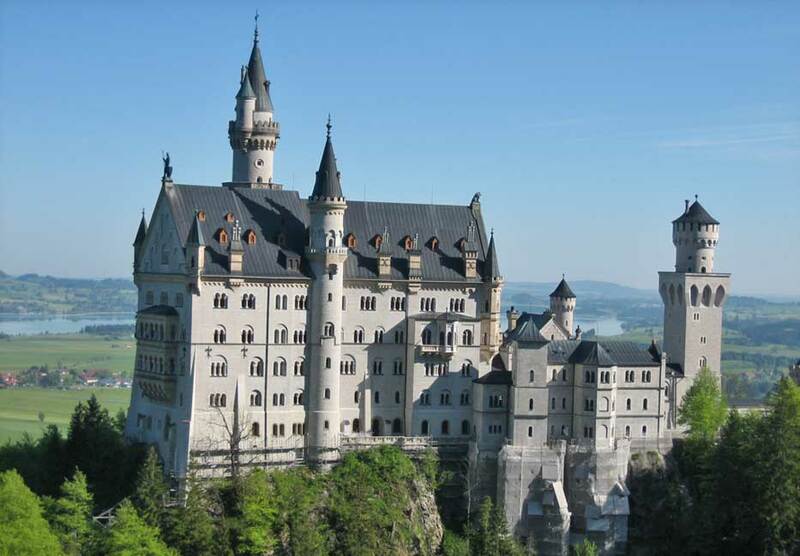 I found the castle bizarre and hardly worthwhile, but millions of visitors think differently. 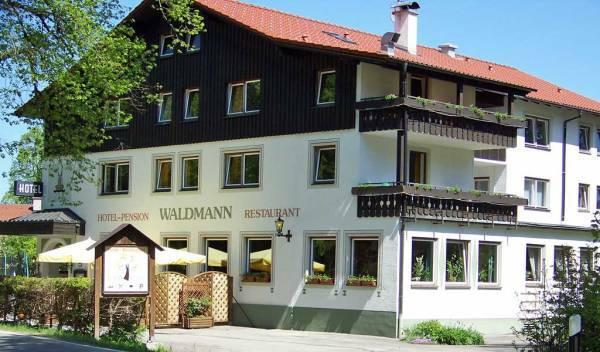 After the castle, we headed back to the Pension Waldmann for some more German cooking at lunch. The owner’s family were all at the tables eating, but invited us in for early lunch. Pork in mushroom soup and spaetzle hit the spot. After lunch we took a cab to Füssen, stored our bags at the bus station and wandered the main street. 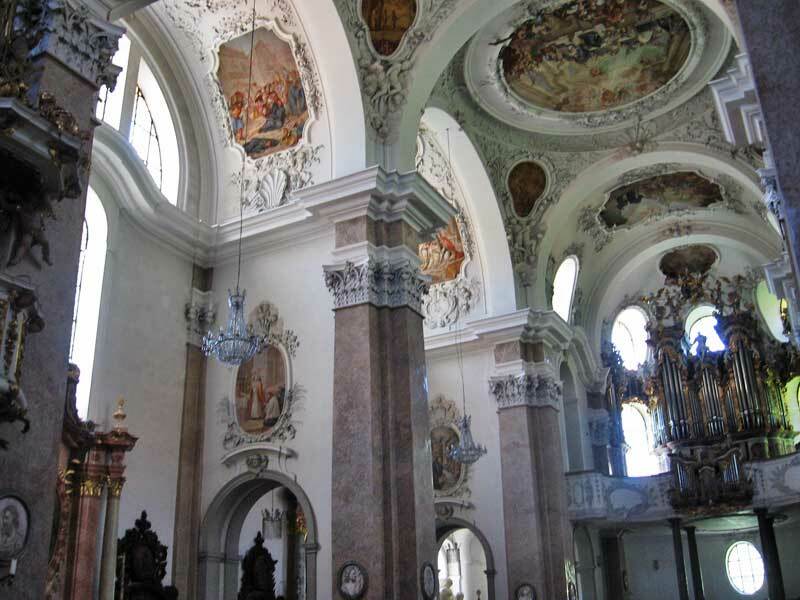 We made our way to the lovely church called St Mang’s Abbey. Next we caught a city bus to Reutte in the Austrian Tirol. The bus had only 3 other passengers. The bus stopped twice along the way and it felt like we were lost in the back roads of the Austrain Alps. At Pachswang, we turned off the road on to a narrow paved bike path. Women with children in strollers had to move off the path, so the bus could go through. Eventually we got to Reutte and purchased a Bayern ticket on the train. The train went through Erhwald so we enjoyed views of the Zugspitze mountain on our way to Garmisch-Partenkirchen.